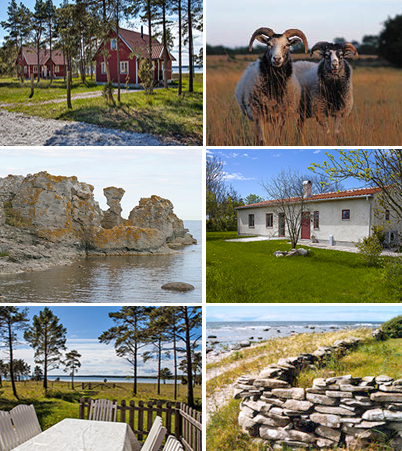 www.bondestugan.se is a website for our unique high quality cottages on Gotland. Here we give you an presentation of each cottage, about the people who built the cottages and excursions and activities in the areas around the cottages. The Gotland Farmer cottages are beautiful rentable houses with modern standard, open fire place and large terrace built for guests throughout the year. The Gotland farmers cottages are a unique cooperation between the farmers of Gotland, LRF and GotlandsResor. The cottages keep a high, modern standard with an open design and are tastefully furnished and decorated. All of the cottages have got an open fireplace. Our vision with the Gotland cottages is to offer our guests a comfortable stay in a relaxing environment of great natural beauty.